With the school year now in full swing for most K-12 schools, parents will begin looking for programs that will help their children in academic areas they are struggling with. Fortunately, NYU’s One with NYU tutoring program is made just for this purpose and will now get a chance to show what it has to offer. Officially launched in the spring of 2015, this program invites any active member of the NYU community, student or faculty, to apply to become a tutor. 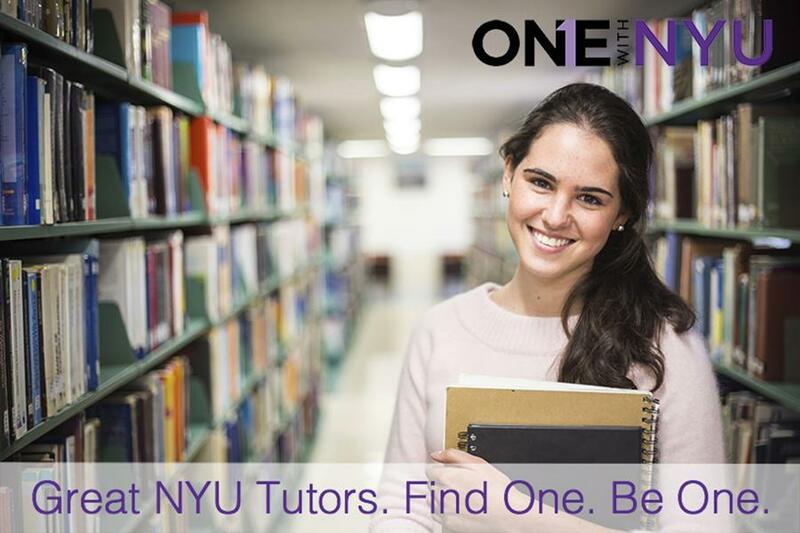 One With NYU offers tutoring services to anyone, whether affiliated with NYU or not. Jillian Youngblood, Director of Communications at One With NYU, said she believes that the simple fact of being affiliated with NYU makes this program stand out. “A tutor’s NYU affiliation signals pedigree, quality and trust – and these are what parents and students look for in a great tutor,” Youngblood said. Youngblood added that that the innovative technological approach to tutoring that One With NYU uses includes the usage of video conferences, virtual whiteboards and document sharing. This allows students to work remotely and offers them resources they need to study on their own. Part of the appeal of One With NYU is its flexibility – tutors may set up their own hours and rates in order to develop a method of tutoring that works best for their clients. As Director of Sales and Marketing, Harry Althaus also points out, One With NYU offers a wide range of subjects for students to choose from. So far, the response to the new ‘One With NYU’ tutoring program has been positive: currently, there are 39 NYU tutors and over 150 applicants. Danielle Fallon, a first year graduate student in Steinhardt, recommends that her peers take advantage of this new opportunity that One With NYU offers to understand just how much of an impact a program like this can have. Anyone from within the NYU community is eligible to submit an online tutor application Applicants also complete an interview as well as a two-hour online course designed by NYU Steinhardt’s Teaching and Learning Faculty. A portion of the proceeds from the program is put towards the Momentum Campaign, a pledge to raise $1 billion in scholarship funds by 2017. It’s awesome how many resources there are available online today. I’ve found that TutorMe.com (https://tutorme.com/) is a great resource for instant online tutoring. I’ve been using them for most of the semester and it’s really been helpful.